State of the Conference- More Cowbell!!! So far, this season has been a wild ride with upsets nearly every weekend. After last weekend however, two teams shot up the rankings and are now tied at 3rd. Yes, that would be Ole Miss and Mississippi State. How did this meteoric rise happen and can both of these schools continue this success throughout the season? The rise of Ole Miss is of no surprise to many college football fans. Over the past two years, the Rebels have been in the top 15 in recruiting according to 247 Sports both times. 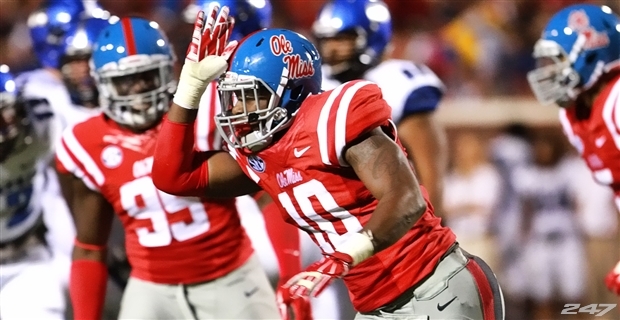 With top players like Robert Nkemdiche, Laquon Treadwell, Tony Conner and Cody Prewitt; it’s no wonder Ole Miss is fighting for the SEC West crown this year. Hugh Freeze runs a hurry up offensive attack similar to his Waffle House eating friend, Gus Malzahn. Bo Wallace is a veteran quarterback in a year when many teams are breaking in new QBs. But, the Black Bears (should have gone with Admiral Ackbar) get no favors this week having to go to College Station to play a night game at the recently expanded Kyle Field. And, of course, the schedule gets no easier with Auburn and the Cowbell College still on the horizon. But, Alabama has been the dominant team in the SEC over the past 5 years and anytime you take down Paul Finebaum’s beloved Crimson Tide it makes a statement. And that’s exactly what Ole Miss did and that is a sign that they are here to stay. Cowbell Nation, on the other hand, is one of those teams that has flown under the radar, then had a big win that vaulted them to the top of the polls. But can they live up to all of the hype? For me, that is still TBD. I know they have Dak Prescott, and he is a legitimate Heisman candidate. The front 7 is possibly the best in the conference led by Chris Jones and Benardrick McKinney. But, the Achilles heel of this team is the pass defense. I mentioned it in in my weekend recap, but State gives up 300+ YPG through the air compared to less than 100 YPG on the ground. If you look at the schedule thus far, yes any win in Baton Rouge is a nice win, but this obviously isn’t the same LSU as years past. And sure, they beat Texas A&M in a shootout, but the Aggies have no defense. Then, you look at games such as UAB and wonder how in the world do you struggle to a win against the Blazers? I get it though. A win is a win no matter the score, and they are off to a fantastic start thus far. And, while rare, it is possible to win the whole shabang with little to no defense. Believe me I know…I was at Auburn in 2010 and parts of last season. If Dan Mullen can fire up the magic he found with The Wolf of Gale Lemerand Drive, Tim Tebow, while the offensive coordinator at Florida and the D keeps stuffing the run against teams like Auburn and Arkansas, who knows what can happen? I’ll be in Starkville this weekend to check out the Bulldogs for myself, and see if Dak can live up to the hype. 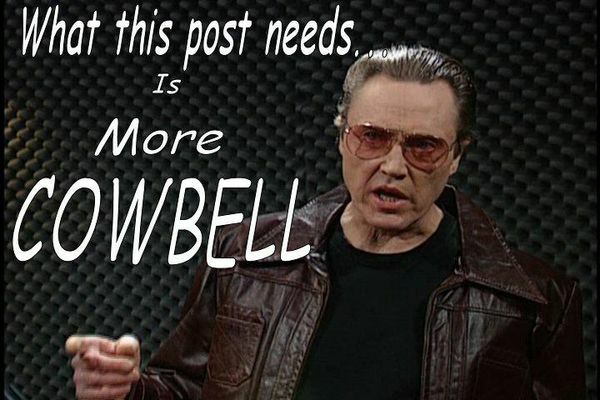 Either way, I’ve gotta have more cowbell! Teams rise out of nowhere every year to climb the polls, and both the Mississippi schools have done just that. Both teams have an insanely difficult schedule to navigate starting this weekend with Auburn at home for State and on the Rebels traveling to Aggieland. Both teams are still on Cloud Nine after huge wins last week, but can they come back to earth enough to keep the momentum going? Nonetheless, the Egg Bowl in November sure got a lot more interesting this weekend! Hotty Toddy and Hail State! Tune in tomorrow for Sam’s Friday Preview, but for now here’s Gene Frenkle with some more cowbell!